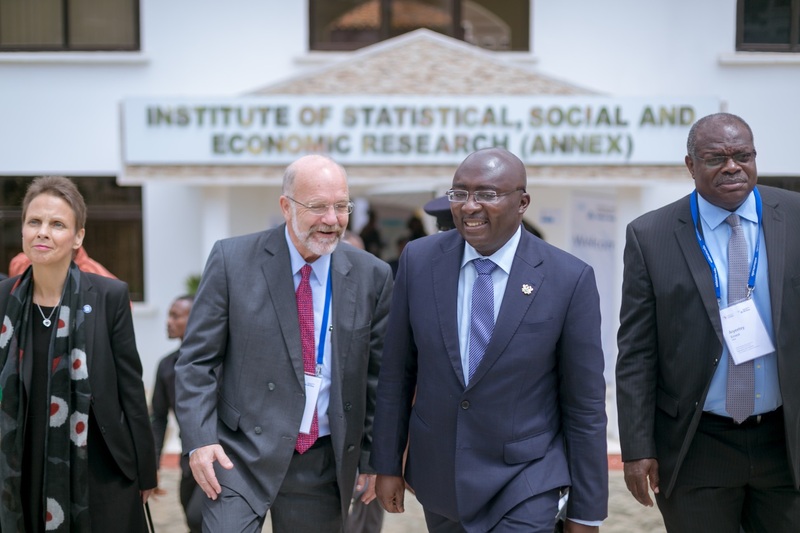 The 2017 UNU-WIDER Development Conference took place on 5-6 April 2017 at the ISSER Conference Centre of University of Ghana. The conference, which was jointly organised with the African Research Universities Alliance (ARUA), was under the theme of “Migration and Mobility – New Frontiers for Research and Policy”. His Excellency Dr Mahamudu Bawumia, Vice President of the Republic of Ghana, and Her Excellency Ms Pirjo Suomela-Chowdhury, Ambassador of Finland in Accra, formally opened it. The two-day conference had two keynote speakers, three plenary sessions, and over twenty parallel and poster presentation sessions. 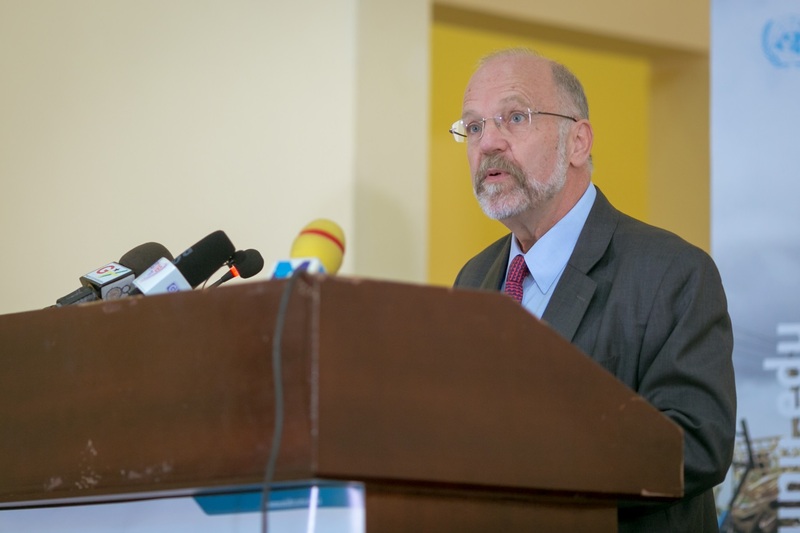 In his introductory remarks, Professor Finn Tarp, Director, UNU-WIDER, welcomed participants to the conference and expressed his gratitude to the organizing team and the host institution. Professor Tarp indicated that the conference explores the relationships between migration, mobility, and development, with a focus on South-South movements and the African region. He indicated that the conference aimed at bringing together new and innovative research from economics and other disciplines that can inform broader policy-relevant debate and action. He acknowledged the fact that Migration and mobility are key facets of our increasingly globalised world which poses challenges as well as opportunities. He highlighted the various plenary and parallel sessions and key presentations to be made. 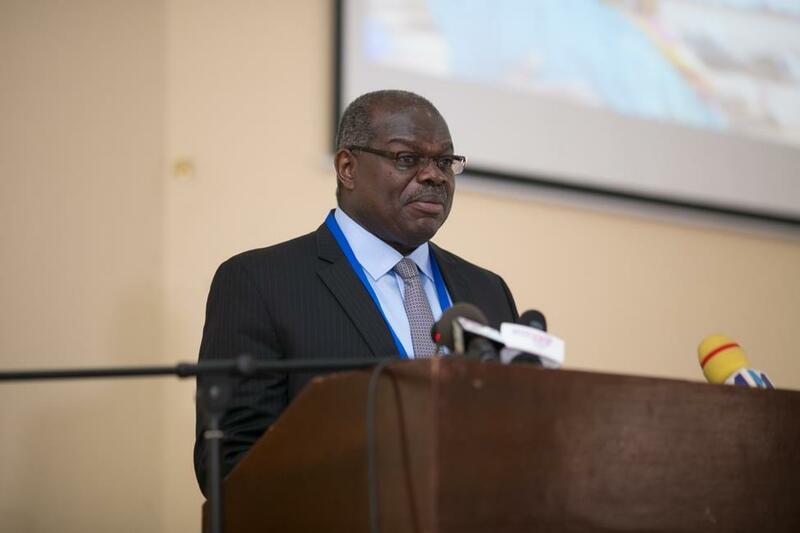 Professor Ernest Aryeetey, Secretary-General of ARUA, welcomed participants to the Conference and expressed his appreciation to His Excellency, Dr Mahamudu Bawumia, the Finnish Ambassador, and the WIDER team from Helsinki for participating in the conference. He mentioned that the conference addresses most topical migration and mobility issues in the world today. He also observed that in the last two decades more attention has been paid to international migration within the context of globalization than has been done for internal migration. He indicated that the full ramifications of current migration trends were yet to be properly measured and understood. It was in that respect that ARUA was pleased to team up with UNU-WIDER, as ‘migration and mobility’ was one of the thirteen (13) priority research areas of ARUA. In her opening remarks, Her Excellency, Ms Pirjo Suomela-Chowdhury, Ambassador of Finland, expressed her delight in being part of the conference. 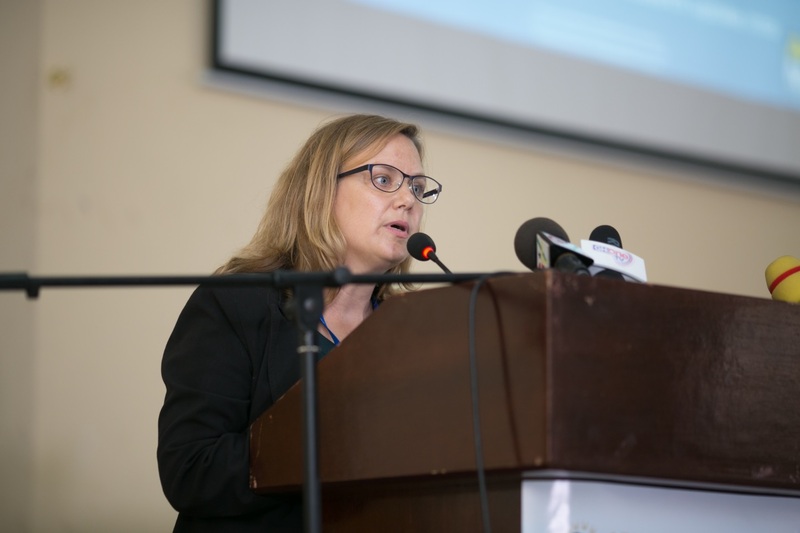 She hinted that UNU-WIDER was noted for its world-class research and wider developmental activities, and expressed satisfaction that the conference was hosted by ARUA at the University of Ghana. 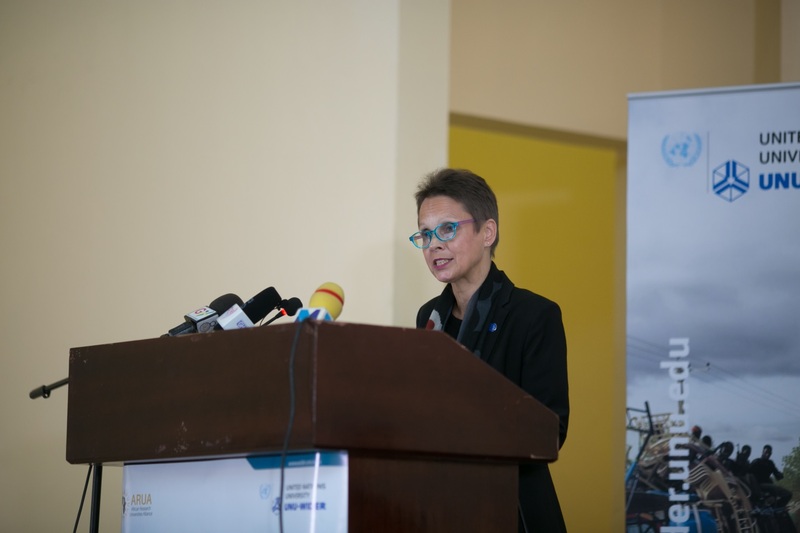 She was also happy to witness strong and positive cooperation between UNU-WIDER and the University of Ghana in graduate training, and pointed out that the relationship between Finland and Ghana was very strong. She also emphasized the importance of the theme of the conference and requested that it was time participants went beyond the political rhetoric and had an open mind to discuss issues relevant to migration. 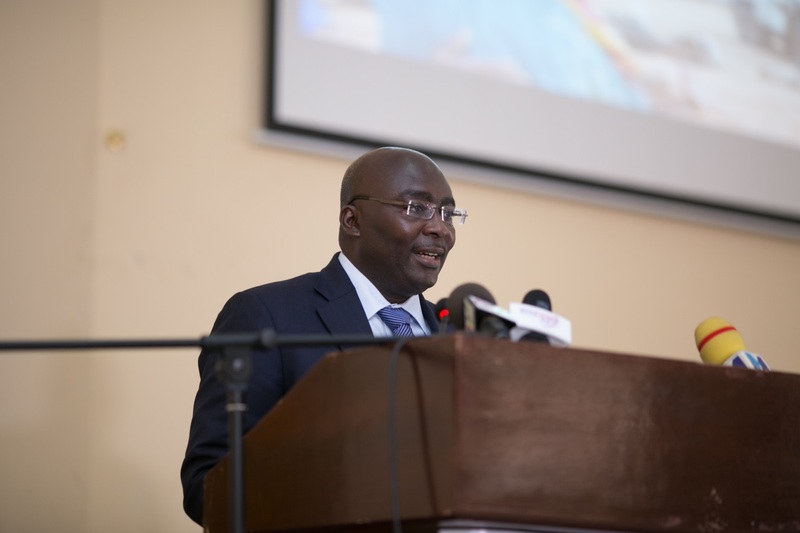 His Excellency Dr Mahamudu Bawumia, Vice President of the Republic of Ghana, in his opening address, welcomed all participants from abroad to Ghana. He mentioned how happy he was to be invited to the conference, and to be once again in an academic environment. He stated further that migration and mobility were major human development issues and it was therefore not surprising that they were high on the Global, Africa, and the Ghanaian public agenda. The issues of interest at the conference, according to the Vice President, touched on many of Ghana’s key concerns, including international migration, urbanization, internally displaced persons, irregular migration, labour migration, border management, etc. He expressed the hope that the conference would focus on south-south migration. Delivering the keynote address on “How unpopular policies are made: policy making in South Africa, Bangladesh and Singapore” Professor Ingrid Palmary, Director of the African Centre for Migration & Society, University of the Witwatersrand, focused on three (3) case studies from South Africa, Bangladesh and Singapore. In addressing the dilemma of policy change in the global south, Professor Palmary investigated why and how policy changes were made. She pointed out that northern-based theories did not quite fit because they were based on presumptions of influence without any evidence (knowledge-oriented and problem-oriented assumption). Also, resource poverty, institutional weaknesses, and politicized policy contexts made many such theories irrelevant. She observed that protective migration policies were largely unpopular. There was, however, strong demand for research uptake into policy. The three plenary sessions and the corresponding parallel sessions were devoted to conflict, health and education, social cohesion, migration, immigrant integration, gender, the environment, trade, remittances, labour, etc.